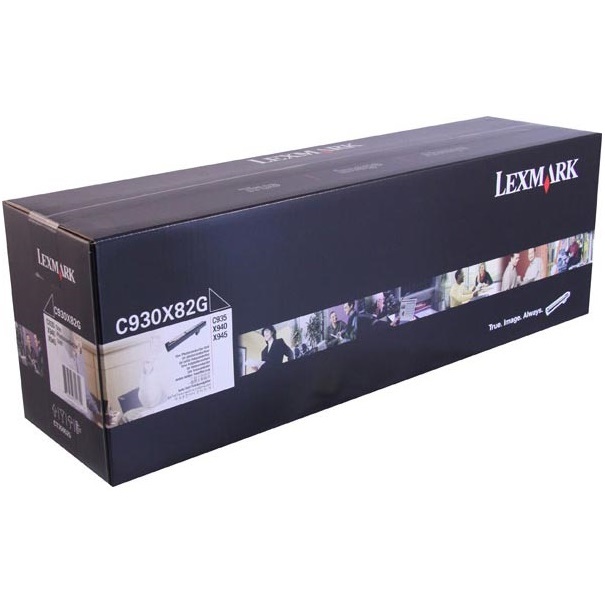 The Lexmark C935 may lack the all-in-one capabilities that are becoming the standard for office equipment, this color laser printer is ideal for a busy office with heavy volumes and complex print jobs. Alternatively known as the C935DN, this base model offers a built-in duplexer and network port. An upgraded model, the C935DTN, adds more trays for increased paper capacity, which increases the height by about 13 inches and weight by 50 pounds. Finally, the fully-loaded model, the C935HDN, includes a hard drive that is optional for the other model alternatives. As many as 45 pages per minute can be printed in black-and-white, while the addition of color slows the machine down to about 40 pages per minute. Clearly designed for a fast-paced work environment, this powerhouse machine can generate up to 200,000 prints every month, though Lexmark suggests users to not exceed 33,000 pages in a month to preserve the life of the C935. 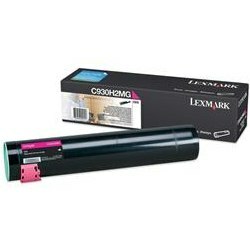 The black Lexmark C935 toner cartridge will yield up to 38,000 pages, while the cyan, magenta, and yellow toners can produce up to 24,000 pages each. These high yields help to minimize the overall cost per page. The Lexmark C935 printer toner can render an impressive resolution of 2400 dpi, which will consistently create vivid images and crystal clear text. In addition to all of the useful built-in features, a number of optional features are available to be added to the machine at any time. The standard memory of 256 MB (512 MB in the DTN and HDN) can be expanded all the way up to 1024 MB. Stapling and hole-punching finishers can be added, and the input paper capacity on the base model can be increased from 620 sheets to 3,140 sheets. 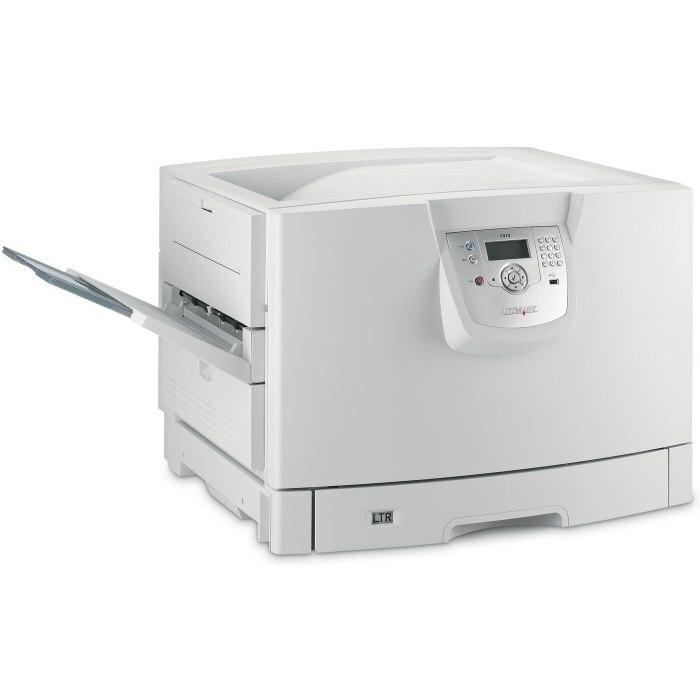 The C935 is a network-ready device, but users can also connect to this laser printer via USB port, and PDFs can be loaded through the flash drive on the front of the unit. Most standard operating systems are compatible, and the C935 is fueled by a gritty 1.25 GHz processor. 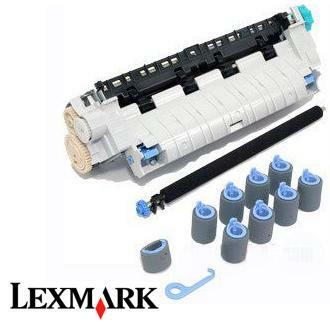 A basic 4-line LCD is located on the control panel, allowing users to adjust settings and monitor the level of Lexmark C935 toner remaining. So many features are built into and can be added to the C935, which makes it very appealing to various sizes of offices. 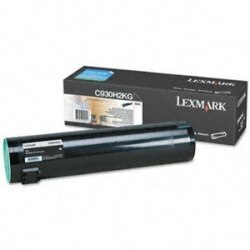 Costs are kept relatively low with the penny-saving high-yields of the Lexmark C935 toner cartridges, and the expandability options ensure that users will not soon outgrow this device.